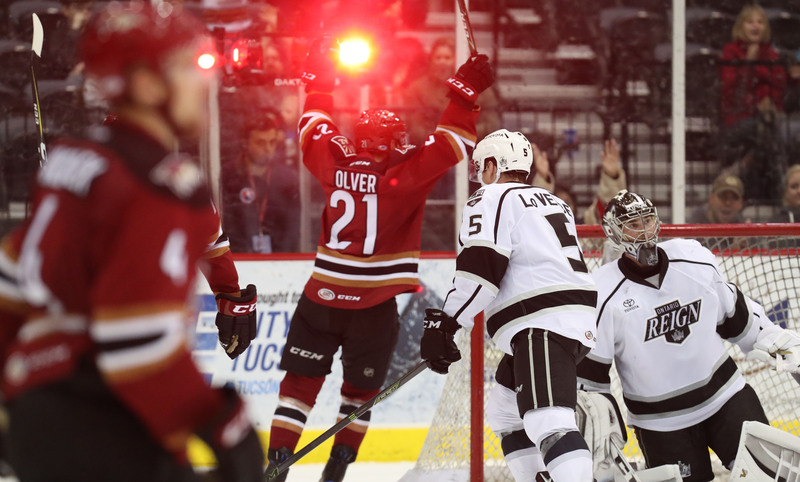 Clamping down and responding late, the Roadrunners extended their win streak to four games Monday night with a 3-2 victory over the Ontario Reign at Tucson Arena. For Tucson, it’s the third time this season the club has strung together four consecutive victories. Prior to the team’s current run, they withstood their longest losing streak of the campaign, of which was also of the four-game variety. “We had a little bit of a slip there where we lost a few in a row, but we’ve bounced back and made sure not to let the skid go on longer than it could have, and it’s been huge,” Henrik Samuelsson said following the game. The Roadrunners fell behind early when Ontario’s Jonny Brodzinski opened the scoring with just under five minutes to play in the first, but the team responded with a solid middle frame to overcome the slim deficit. After taking the first four penalties of the contest, Tucson capitalized during their first power play of the evening when Chris Mueller potted a Jamie McBain pass past Jack Campbell to even the score with 12:27 to play in the second. Just over four minutes later, Henrik Samuelsson struck for his second goal of the season to give the Roadrunners a 2-1 lead when his shot from just inside Ontario’s blue line baffled Campbell and snuck past the Reign netminder. In the third, and moments after Justin Peters made the save of the night on Ontario’s Jonny Brodzinski, Adrian Kempe fired a wrist shot home on a Reign power play to tie the score 2-2 with 8:43 left in regulation. The Roadrunners, though, were quick to reclaim the lead – and for good – when Zbynek Michalek fired home a wrist shot from the point through traffic to give Tucson a 3-2 lead with 7:20 left. Justin Peters shut the door throughout the remainder of the game to secure a 3-2 victory. He finished the night with 33 saves, earning his fourth win of the season. Mark Olver (2A) and Anthony DeAngelo (2A) led all Roadrunners players in points scored (2), Christian Fischer in shots registered (5). 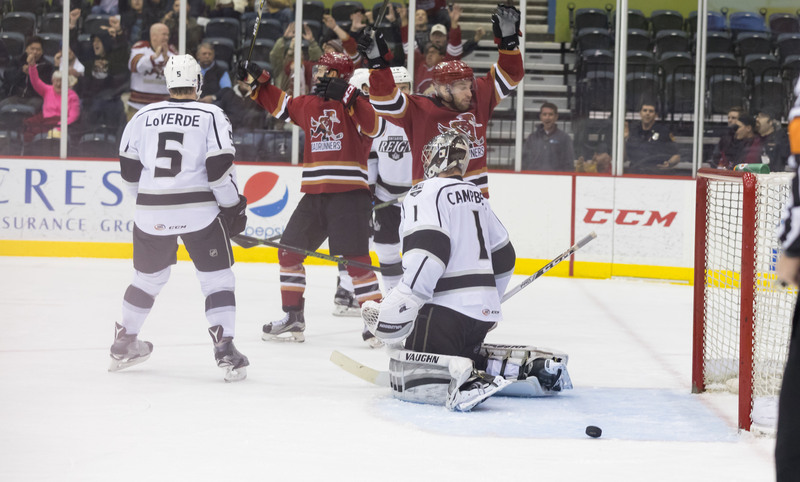 The Roadrunners return home Wednesday night for a rematch with the Ontario Reign at Tucson Arena, where they’ll look to win a franchise-record fifth-straight game.